Four key benefits of compressed natural gas (CNG) explained by New Zealand's award-winning global manufacturers Oasis Engineering. New Zealand’s leading global engineering experts Oasis Engineering specialise in compressed natural gas (CNG) products. Servicing a wide range of industries, the award-winning Tauranga-based company has been manufacturing high-quality products for over 30 years. “We are a market leader for innovation within the CNG industry worldwide,” says Ricky Lee, Vice President of Business Development USA and Canada. The company is passionate about their CNG products such as their range of ball valves that are used for CNG stations, mobile storage (CNG trailers), ground storage, priority panels, compressors, dispensers, and more. Oasis Engineering’s Managing Director Andy Cameron gives us four key benefits of compressed natural gas (CNG). CNG reduces the negative impact on the environment compared to traditional petrol and diesel as it produces significantly lower amounts of greenhouse gas emissions. There is approximately 80% less carbon monoxide emissions and 45% less hydrocarbons. Not only this, CNG is non-toxic thereby preventing harm to groundwater in case of a leak. CNG is cheaper than all other energy sources. By using CNG-powered vehicles, consumers can slash approximately 45-68% off their fuel bills. With a flammability rating of only 5-15%, CNG is less flammable than other fuels. Due to its ignition temperature of 600℃, CNG vehicles are less likely to catch fire under any circumstances. In case of a leak, CNG will dissipate into the atmosphere, unlike gasoline or diesel which pools on the ground and becomes a fire hazard. Dedicated CNG engines are superior in performance in comparison to traditional petrol and diesel engines. This is because natural gas has an octane rating of approximately 130, whereas super and unleaded have octane levels of 95 and 97 respectively. The team at Oasis Engineering provide excellent CNG valves, high pressure couplings, fittings, and professional CNG solutions. Now exporting to more than 40 countries around the world, Oasis Engineering are the leading solution provider for CNG applications. 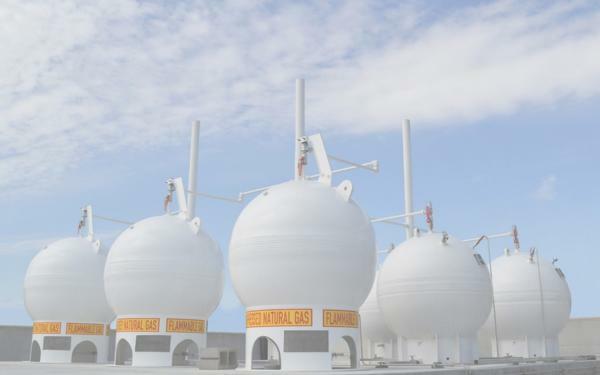 A company renowned for its innovation, product development, and customisation, Tauranga-based Oasis Engineering has been a staple in the global Compressed Natural Gas (CNG) industry since the 1980s. Oasis Engineering is situated only 15 minutes from New Zealand’s biggest port and two hours south of New Zealand’s biggest city, Auckland, which means they can keep your promise on delivery times. The award-winning global company has an outstanding track record for on-time deliveries which is better than 97%.